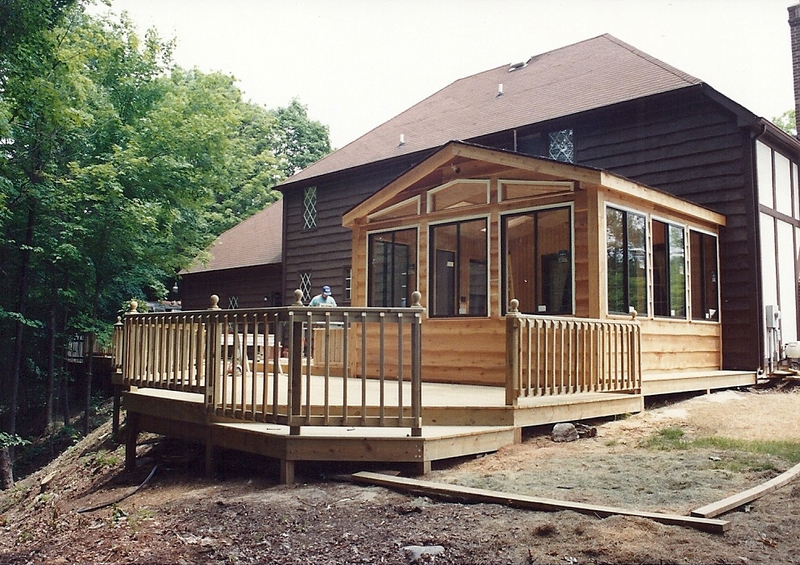 This home addition has a breathtaking new look now that it is completed. The deck now provides a wonderful view of steep cliff behind the home. The only thing left for this remodeling project for the addition to be painted to match the existing home, and for the deck to be stained.